Ford Presidential Library and Museum, Ann Arbor, Michigan; Smithsonian Institution, Washington, DC; Charles H. Wright Museum of African American History, Detroit, Michigan; North Carolina Historical Museum, Raleigh, North Carolina; California African American Museum, Los Angeles. The images were restored by CBS Corporation. Atty. Mark E. Kalmansohn of Century City, California, assisted in all arrangements. 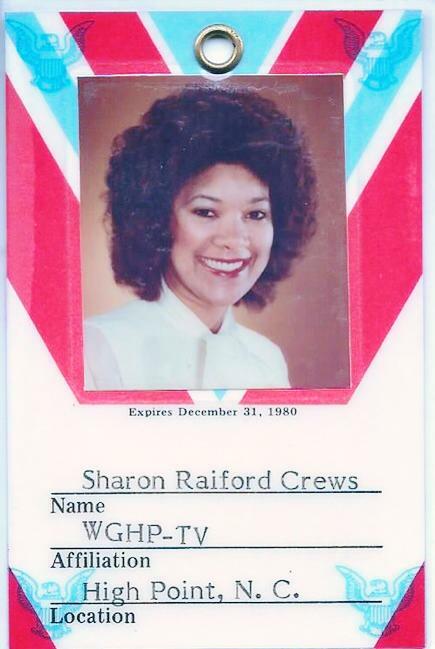 The inaugural news team consisted of Amyre Porter, Doug Morison and Sharon Crews [nee, Raiford Bush]. Channel 62 will switch to Digital 44 on June 12, 2009. Channel 62 will be preserved as a virtual display.